Of Pleasant Lake, MI went to be with her Lord under the care of her husband and Hospice on Monday, January 14, 2019 at the age of 72 after a long battle with MS. She was the daughter of Stanley and Rosalind (Keyes) Nowak born, September 16, 1946 in Jackson, Michigan. Nadine is survived by her husband of 45 years, Thomas; two daughters, Cristine Maybourne of Columbia, SC, and Beth (Brian) May of Lancaster, KY; and one granddaughter, Clarice May. She was preceded in death by her parents; and her in-laws, Albert and Helen Maybourne. 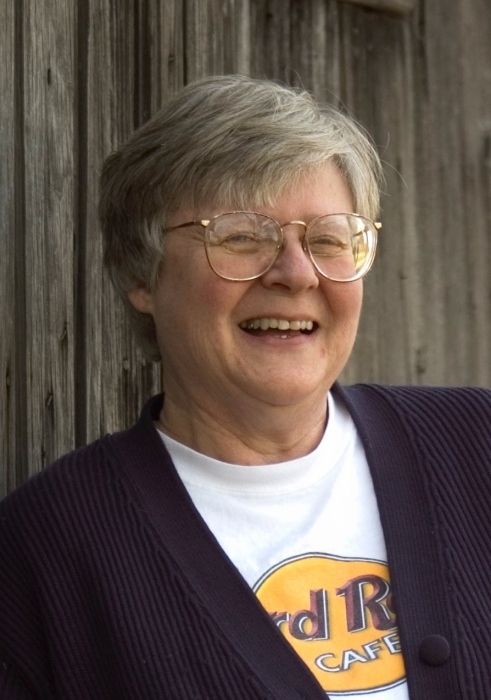 Nadine was a graduate of Parkside High School Class of 1964 and Western Michigan University where she received a Bachelor’s Degree in Education. She retired from Spartan Electronics as a clerk. Nadine enjoyed reading, traveling, attending charity auto events, and spending time with her two Basset Hounds, Jake and Elwood. According to her wishes cremation has taken place. A celebration of her life will take place at a later date. In lieu of flowers, memorial contributions may be made to Henry Ford Allegiance Hospice, 100 E. Michigan Ave.,Suite 400, Jackson, MI 49201 or Branch County Humane Society, 969 Wildwood Rd., Quincy, MI 49082.